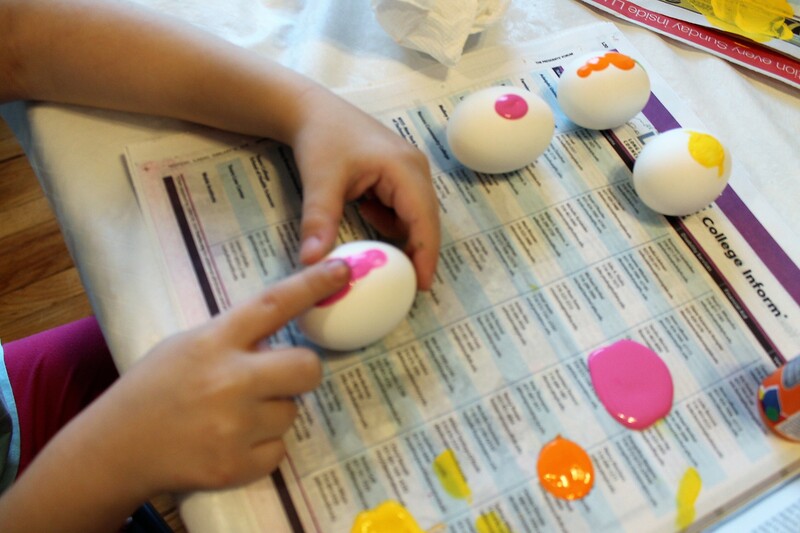 Turn those precious thumbprints into adorable eggs for Easter! 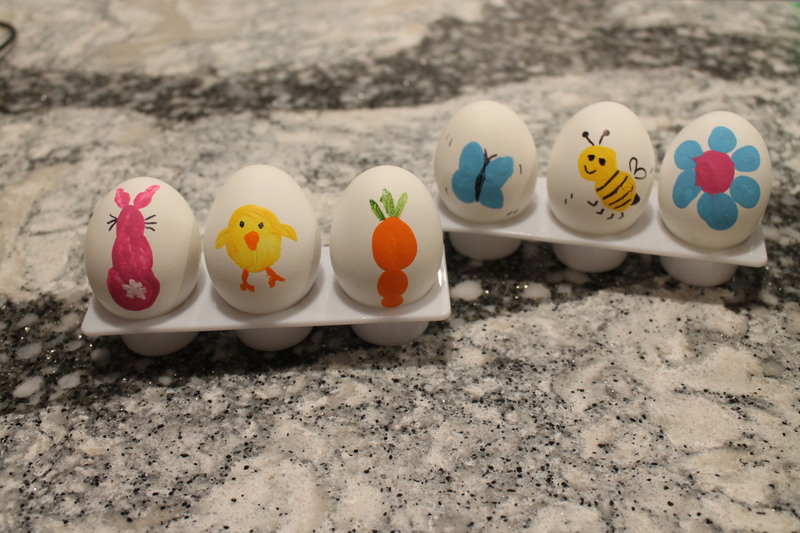 These adorable eggs are such a cute idea for kids to take home to their families as a classroom activity. 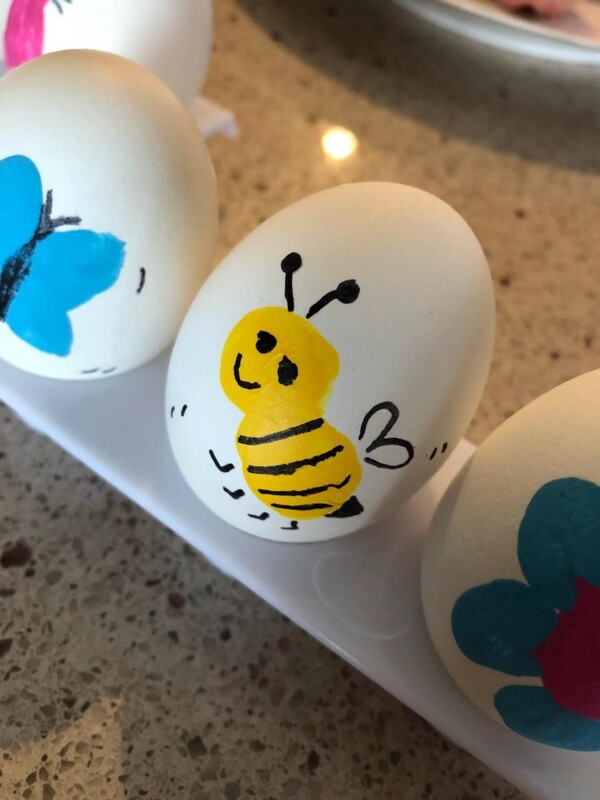 Have eggs hard-boiled ahead of time and give each child an egg, finger paints and markers for a fun activity that turns into an adorable decoration at home. 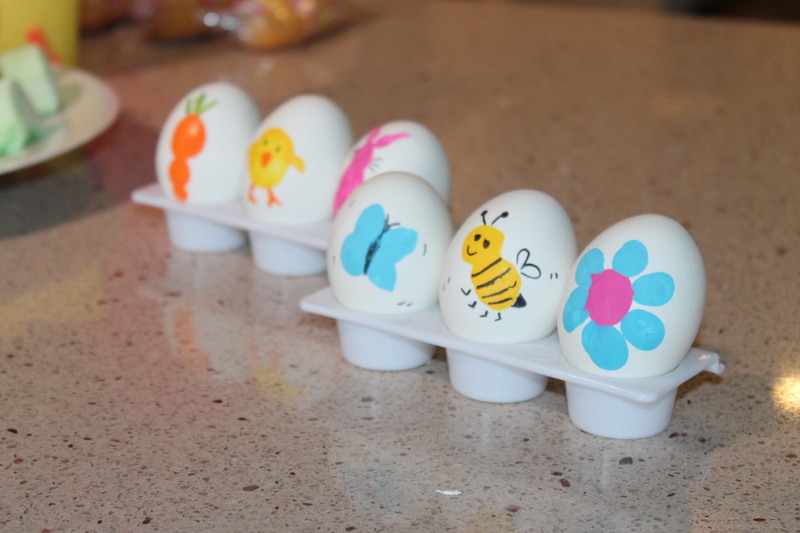 Once your eggs have cooled from hard-boiling them you are ready for this simple and adorable way to decorate your Easter eggs with your kids. 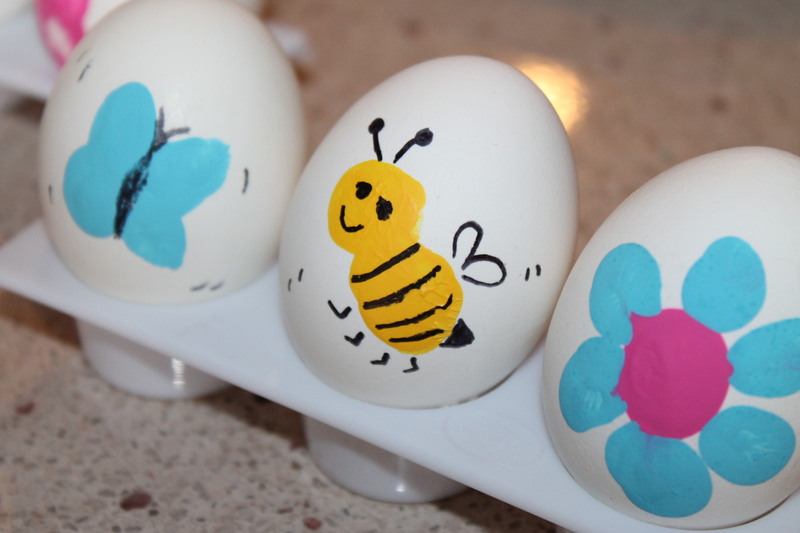 You can make the eggs spring inspired or Easter inspired. 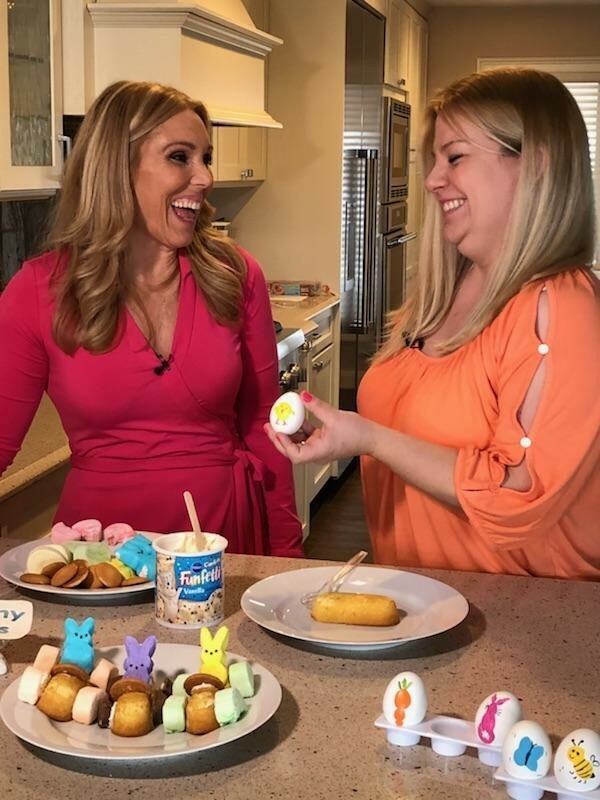 How cute is the bunny, carrot and chick? 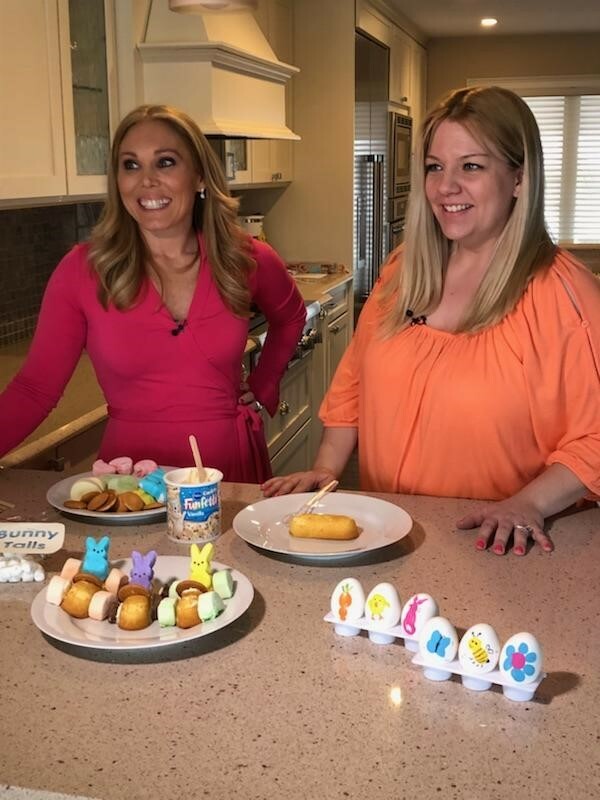 The bunny is made with pink finger paint , the carrot orange finger paint and the chick is made with yellow finger paint. 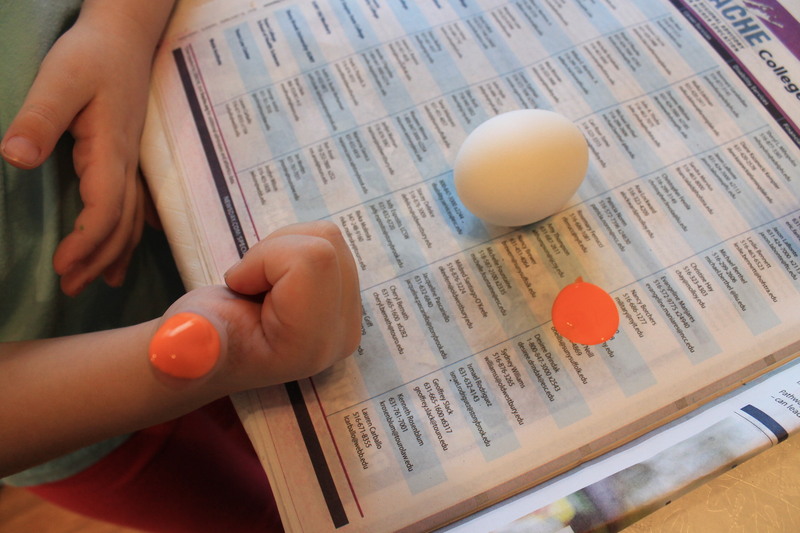 Have your child dip their thumb and pointer finger in the pink finger paint. The thumb will be the bottom of the bunny and the middle of the bunny and the head will be made using the pointer finger. 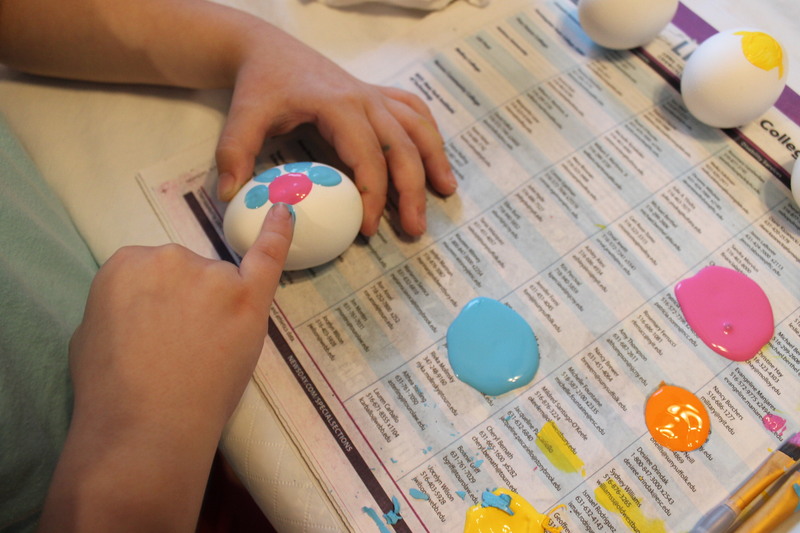 Set aside the egg and let it dry we will finish it once it dries. The orange thumbprint will be for the top of the carrot and the rest of the carrot will be made smaller with the pointer finger. 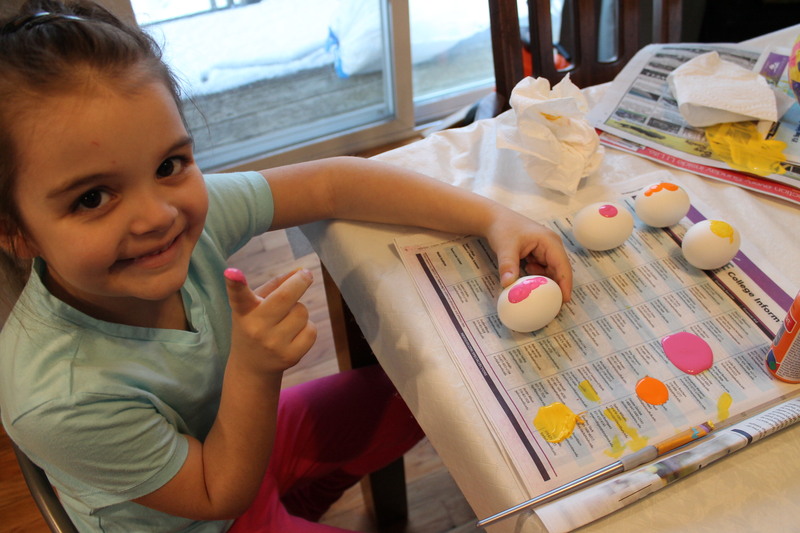 Set aside the egg and let it dry we will finish it once it dries. 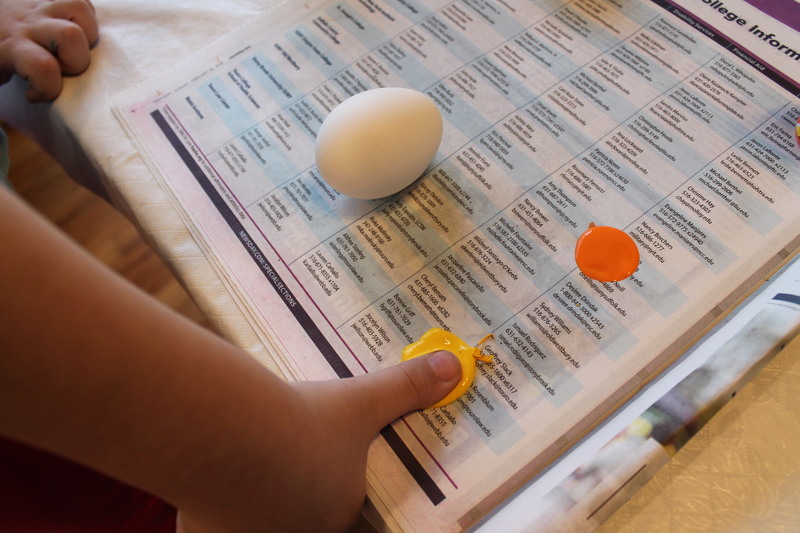 A simple yellow thumbprint in the center of the egg. 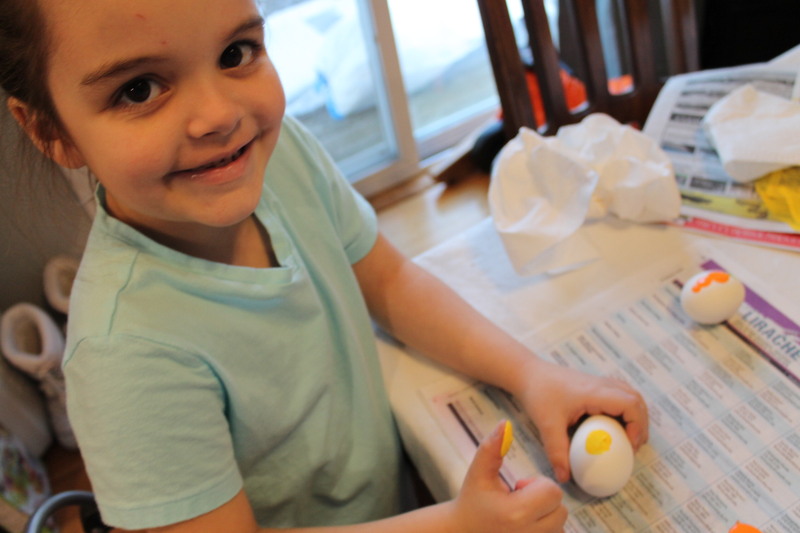 Set aside the egg and let it dry we will finish it once it dries. 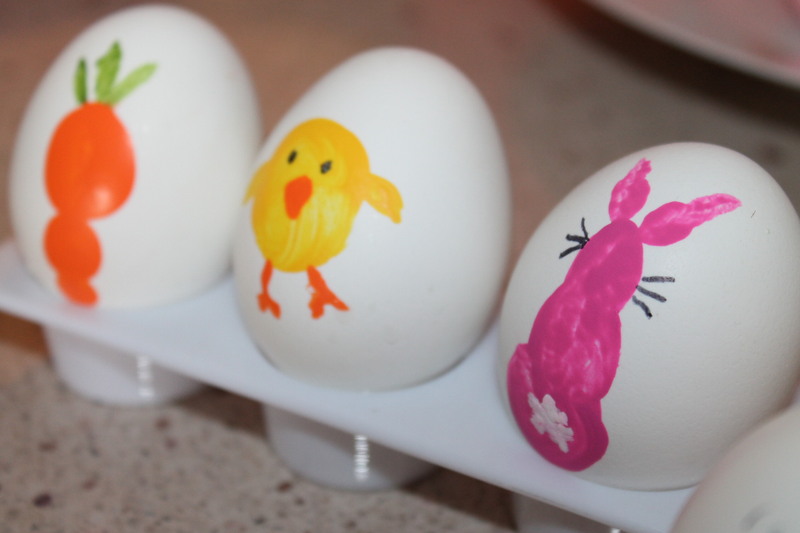 Once they all dry then add the adorable embellishments with markers. 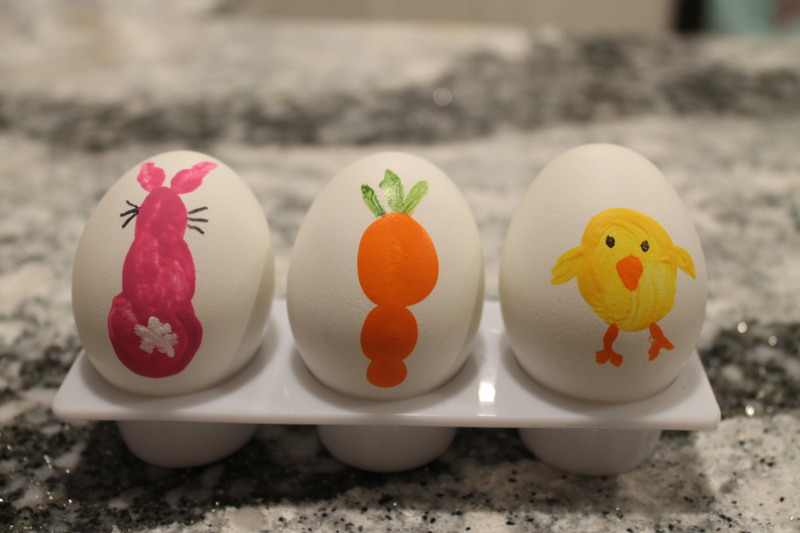 For the bunny tail I used white finger paint and for the carrot tops I used light green finger paint. 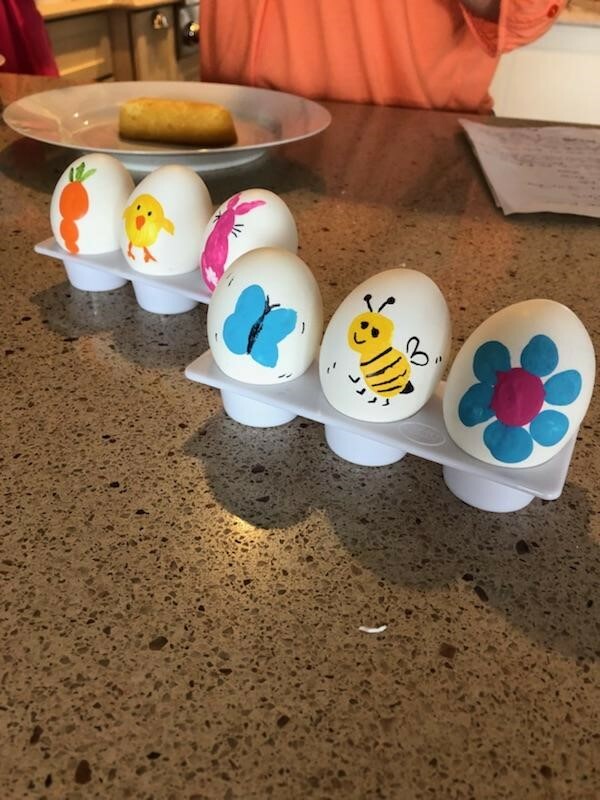 I love how the butterfly, bee and spring flower looks. 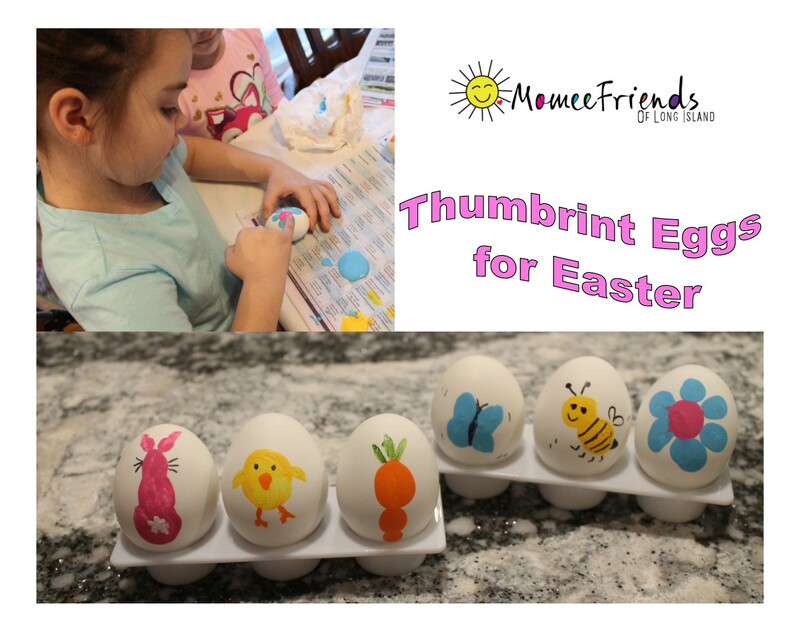 Use a pointer finger for the butterfly wings using any color finger paint you want. We used Blue. Let it dry and we will add the body and antennaes later. 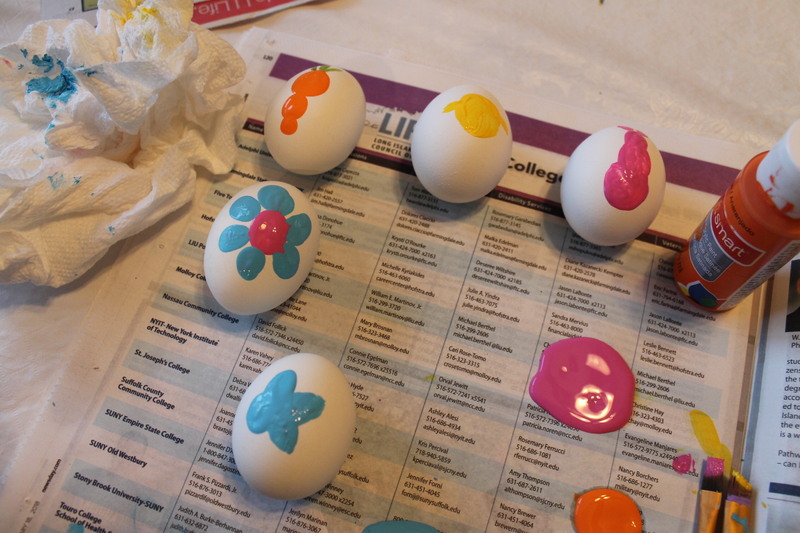 Use a thumb for the center of the flower (any color finger paint you choose) and then use your pointer finger to make the petals of the flower (any color you choose). Let Dry! 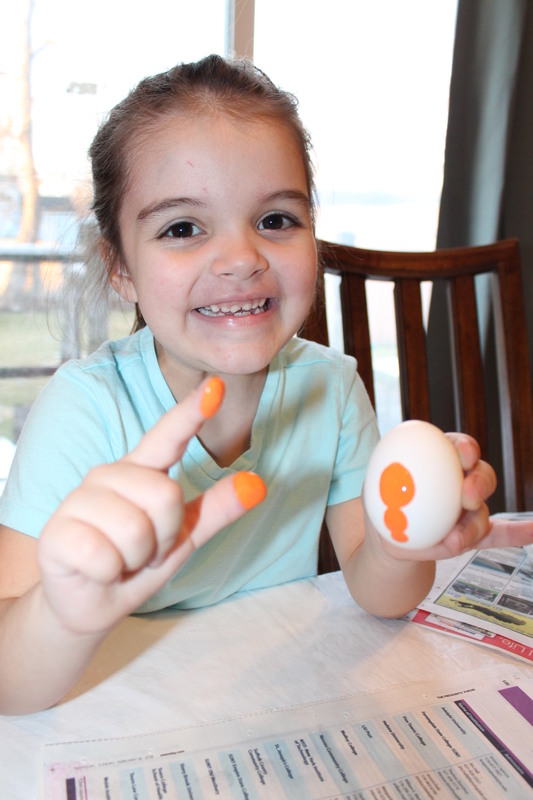 Use the thumb for the body and the thumb for the head with yellow finger paint. Let dry and then add features after with black marker. 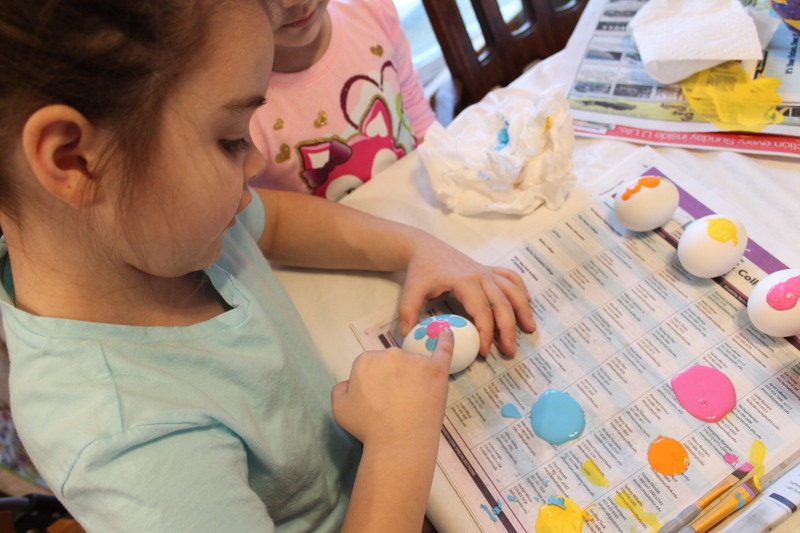 We hope you have as much fun making these as we did! 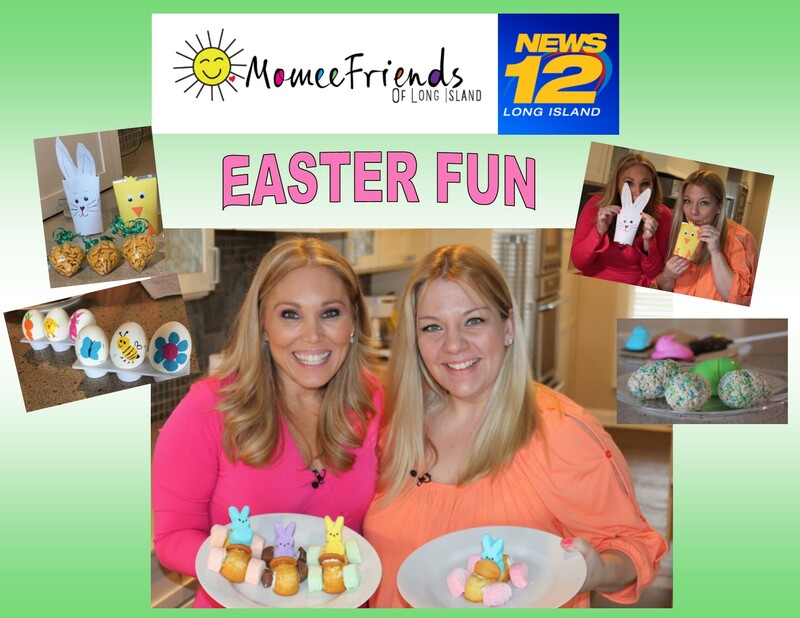 You can see this craft along with other adorable ideas featured on News 12 Long Island on March 23rd, 2018 when it airs on the morning show with fellow Momee Friend, Elizabeth Hashagen!